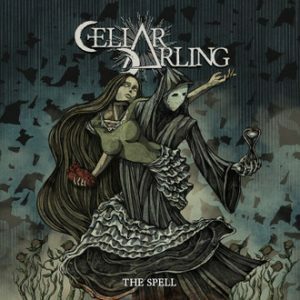 Interview: Anna Murphy of CELLAR DARLING – Spotlight Report "The Best Entertainment Website in Oz"
We caught up with Cellar Darling front woman Anna Murphy in regards to the progressive folk rock bands new album titled “The Spell” which is being released on March 22nd. It comes as no surprise that Anna is the daughter of two professional opera singers as her amazing voice breaks above and beyond the limitations of possibility and expectations on this ambitious release. 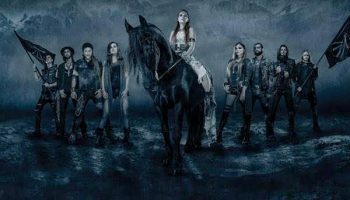 The band also features other former Eluveitie members Merlin Sutter (Drums) and Ivo Henz (Guitars and Bass) who all embarked together on a new musical journey after parting ways with the rest of the band Eluveitie due to internal differences in 2016. Great to have you here to discuss your most recent works in your new band Cellar Darling, you have a pretty impressive background yourself as it is, within working with Eluveite who are coming over to Australia relatively soon. But this is a bit of a new group which I believe 3 of you past members from Eluveite have started up as your new favorite pastime are you coming over here to perform as a secret opening act for Eluveite and their tour of Australia by any chance? No, we will not. I hope that we are going to do our own tour someday. Because we absolutely love Australia and the crowds there are so great. Were you over here personally to perform the last time Eluveite came to Australia a couple of years ago? I believe I was still a part of that, yes. That was when we already knew we were going to part ways but we did the last couple of tours, yeah. Can you describe your sound to us? That’s really hard, because what we do just pours out of us, we don’t really plan on what to sound like and all of the developments that happen within the band happen very organically, so we didn’t set out with a fixed plan of what genre to play or what not to play and it just developed into something pretty unique I would say. It’s really a mix of progressive rock, and folk, but with a lot of classical elements because I come from a classical music background. That is something that was always missing for me a bit, I could never put those ideas anywhere. You have had a few singles released now and the album “THE SPELL” is going to be released on March 22nd, tell us a bit about the album? Well the album is a very special one because it is a concept album, it is something that we have never done before and we actually wrote the music according to a lyrical concept, to a guideline, the tracklist was already there before we wrote the music, we really just wanted to convey a story with music, kind of like in the same sense as you would portray an opera or a musical or something like that, but as a rock band of course. The concept is actually based on a very old motive that you might be familiar with and that is “Of death and the maid” it’s been around since the renaissance arts basically, it has been depicted in poetry, in music, in paintings, and I wanted to take this motive and create my own story out of it and that is of a girl, a nameless girl born out of the pain of the world, that falls in love with the personification of death. You have the following singles out “DEATH”, “THE SPELL” as well as “INSOMNIA” what is your favorite out of those single releases thus far? That’s really hard to pick, it always changes a bit, at the moment I would have to say Death. Just because it has recently been released. 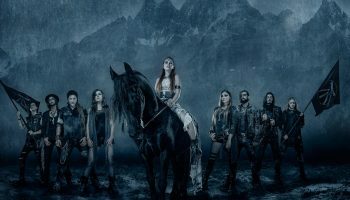 May we know why the 3 of you left Eluveitie? I think that is a very complicated question, there’s not really a good answer to it because every member would answer that question differently. To put it very bluntly, Merlin was kicked out of the band. So Ivo and I decided to leave the band in unity. When you play music together for so long there’s always gonna be creative but also personal differences. With us it wasn’t the creative part but the other one… When you wake up one day and just know you can’t work together anymore then that’s just very damaging, not just for the fans, but also the musicians. It was good for us to part ways, even though it was hard. Can you give us anymore teasers on the new album THE SPELL. Can we expect to see any more music videos or anything else out of the ordinary? Yeah, there’s gonna be something actually really out of the ordinary happening on the 8th of March. We are going to release a single that was actually chosen by our fans, we released the tracklist, and we thought it was really fitting because the tracklist consists of just one word titles. Very striking one word titles. We let the fans decide which song they want to hear next just according to the names of the songs and it’s really interesting because the fans picked a song that would probably be the last song you would choose as your typical single you know if the band were to decide (or the record label). It’s really long, it’s complicated, it’s in no way material for a radio single or anything like that and I think that’s really awesome, that’s why I love that we actually went through with that idea. May we know the song title? Do you have any rough indication as to when you might be able to get over to Australia for a tour? We are working very hard on coming back and playing there for the first time with this new band. We really hope that it happens soon, we will definitely keep you posted! Do you have any final messages for your fans over here in Australia that are perhaps hearing you for the first time? Well I just want to thank you for the support. I think it’s amazing that people over there actually know us and listen to us. It’s the biggest honor that an artist can get and I would just urge everybody to come and see us at the live shows, we promise we will make it worth your while or at least we will try to and if we don’t we can at least have a beer or something. Keep your eyes and ears out for Cellar Darling, suss out their new music and don’t forget to keep a track of when and if they ever come over to Australia! It’s only a matter of time!